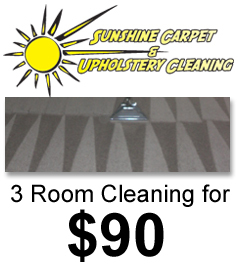 Sunshine Carpet and Upholstery Cleaning in Palmdale, Ca. is a commercial and residential carpet cleaning company that offers Carpet cleaning,Upholstery Cleaning,Flood Clean up. Whether you have a business or residence, we want to enhance your space until it seems to fill with sunshine! From full service carpet and upholstery cleaning and water damage to detailed cleaning services, we can help protect your investments and make inhabiting your space a lot more enjoyable, because clean just feels good! With more than 15 years in the cleaning industry, we take pride in the finished product. When we finish, stand back, and look at the job we have done, we know that you'll be back. We take our time, take pride in what we do, and make sure your project is done right the first time. However, if you are not satisfied, we are not satisfied. Contact us in Palmdale, California, to learn more about our commercial and residential carpet cleaning and upholstery company.